Kazuhiro Teruya is Associate Professor, Department of Chinese and Bilingual Studies and Program Leader of Doctor of Applied Language Sciences. He is a founding member of the PolySystemic Research Group. His major publications include A Systemic Functional Grammar of Japanese, Two Volumes (Continuum, 2007), Key Terms in Systemic Functional Linguistics (with Christian Matthiessen & Marvin Lam, Bloomsbury, 2010), ‘Registerial hybridity: indeterminacy among fields of activity’ (with Christian Matthiessen, Equinox, 2016). Dr Canzhong Wu is Senior Lecturer with the Centre for Language in Social Life, in the Department of Linguistics at Macquarie University. His research interests include translation studies, systemic functional linguistics, corpus linguistics and computer-assisted learning and teaching. He has developed a range of computational tools for discourse analysis and corpus-based studies. Volume 1 provides the foundation for the whole series of collected works, and includes chapters that serve as introduction of and summaries of Systemic Functional Linguistics. It is concerned with the nature of Systemic Functional Linguistics as theory, as framework and as a school of linguistics. 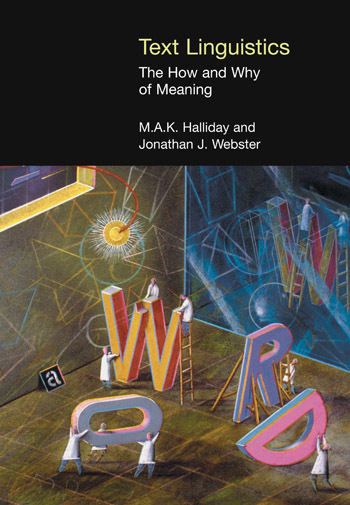 It includes an overview of the organization or “architecture” of language according to SFL and of the lexicogrammatical subsystem of language, and of Halliday’s conception of language as a resource for making meaning. It is also concerned with the history and development of SFL. The new chapter written for Volume 1 addresses the theme underpinning all the chapters in the volume: the challenge of theorizing language, and it introduces the metaphor of cartography (used by Matthiessen in his work on language) as a way of mapping linguistic theory, showing how all areas relate to one another. Erich Steiner, born 1954 in Heidelberg/ Germany, studied English and German Philology in Freiburg, Saarbrücken, Cardiff, Reading and London (GB), and has held posts in Saarbrücken, Luxembourg and Darmstadt. He has served as Head of Department, Pro-Dean and Dean at the University of Saarland in Saarbrücken, and has received calls from several other universities. Since 1990, he has been Chair of English Linguistics and Translation Studies, later on English Translation Studies, Dept. of Language Science and Technology, University of Saarland, Saarbrücken. His major research interests include Functional Linguistics, Translation Theory and Comparative Linguistics, as well as Empirical Linguistics more generally. He has been Visiting Professor at Rice University, Houston/ Texas, at the University of Southern California/ Los Angeles, Dublin City University, Macquarie University Sydney, the University of Technology Sydney, the University of Oslo, as well as Hong Kong Polytechnic University and City University of Hong Kong over the past 30 years. In this chapter, I will locate the process of creating theory in the overall realm of linguistic activities, placing it in a hierarchy of such activities according to the “size” of the domain of data that must be covered by the activity: theorizing (language in general, as a human semiotic) — comparing and typologizing (languages as particular manifestations of language) — describing (a particular language) — analysing (text instantiating a particular language). I will suggest how to model the theory itself as a resource for undertaking other linguistic activities, including also the activity of applying the outcomes of linguistic activities to solve problems that arise in different institutions in the community and the continued development of the theory. This thus also relates to metatheoretical concerns — the choice among different kinds of theory, the relationship between theory and data, the question of how to relate theories from different disciplines, theory and the consumer. The chapter will not only provide an overview map of current theory but also of issues that need to be addressed as the theory is revised and developed to give it greater power, extended its theoretical potential. 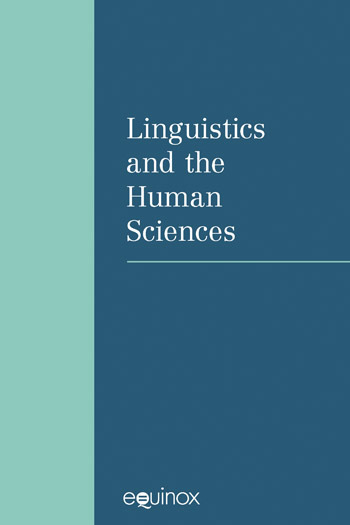 The depth and breadth of [Matthiessen's] thinking about language manifested in these contributions is exceptional, ranging from questions of the grammar and semantics of English and other languages, through issues in translation, in multimodal communication and in computational linguistics to fundamentals of linguistic and semiotic methodology. It is this breadth, together with a very consistent high level of quality, which constitutes one aspect of Matthiessen’s scholarly achievements. Regrettably, too many of his ideas to date have been difficult to access, have not been placed in their most coherent thematic context or have remained unpublished altogether. This makes a representative collection of these works timely and highly welcome for the linguistic community.